Losing a loved one in a serious accident is a tragedy which nobody should have to experience. No amount of money can ever replace losing a loved one to an accident, or make you whole again. In Ontario, monetary compensation for the estate and the family members of the departed accident victim are one of the few remedies which we have to work with. The money recovered in fatality cases can cover the deceased's and the family's pain and suffering, medical expenses, funeral expenses, bereavement therapy expenses and/or damages for nervous shock for the survivors who might have seen their loved one pass away in a fatal accident. These claims can be significant and they are worth pursuing. The laws dealing with pain and suffering in Ontario are complicated, and are even further complicated when dealing with fatality claims. The family will need to consider what assets were left behind, how those assets will be distributed and who will be responsible for that distribution if there isn't a will. The family will also need to appoint an Estate Trustee/Litigation Guardian to lead the lawsuit against the wrongdoer and be the main contact with their lawyer. Goldfinger Law has a team of wrongful death lawyers to deal with fatality cases. 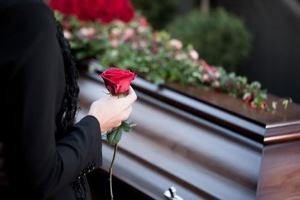 We have the requisite patience, caring and understanding to help our clients best manage with these unfortunate circumstances; while at the same time diligently pursue their case to yield the best results for the deceased and the family.